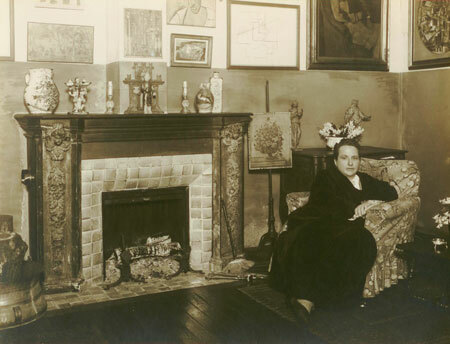 Gertrude Stein and her avid art-collecting brothers (and Alice) are the fascinating focus of two outstanding museum art exhibits opening here exclusively this week at the San Francisco Museum of Modern Art and the Contemporary Jewish Museum. 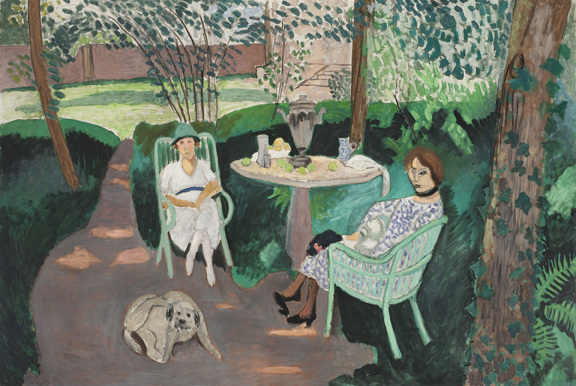 Each exhibit vividly illustrates and illuminates Gertrude Stein’s Paris salons, the Stein family’s art collections, their enviable friendships with artists like Picasso, Matisse, and Cezanne, and their essential role in popularizing important and trend-setting new art works. 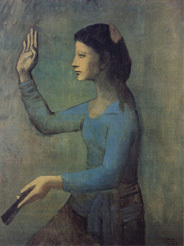 Portrayed in photography and oil paintings, drawings and sketches are Stein’s apartment and the vital early days of modern art. The walls of 27, rue de Fleurus (scene of many a Paris pilgrimage) are crammed with museum-quality masterpieces. Forget Jean Cocteau! 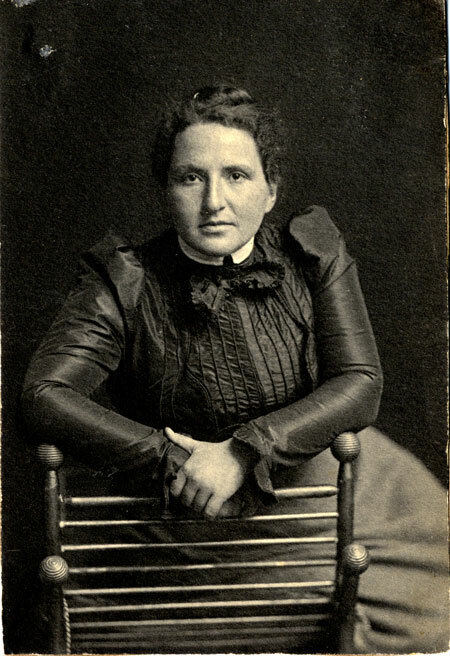 Gertrude Stein is clearly the most ‘portraited’ writer of the twentieth century. Come and meet the Steins. The shows are highly original—and certain provocative. Come and encounter Gertrude Stein, the Freres Stein, inspiring apartments, favorite artists, and of course, bien sur, Alice B. Toklas. I think there is ‘there’ there, and more. 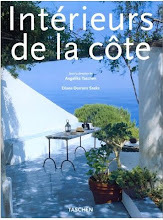 I suggest for most fun: find your long-neglected paperback copy of ‘The Alice B. Toklas Cook Book’ by Gertrude Stein. Open the pages for the recipe for her famous spicy Hashish Brownies. Have a little baking session, then sit down to nibble…and read about the inspiring Stein family, and especially try to solve the enigma of Gertrude Stein. As a young girl, Gertrude Stein, born in Pennsylvania, moved to Vienna, Paris, and finally San Francisco and Oakland. 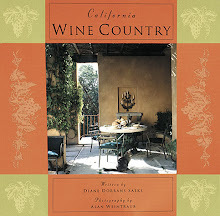 Stein (1874-1946) famously said of Oakland, where she grew up, ‘There is no there, there’. But it was in Paris, at the turn of the century, that she encountered Matisse, Picasso, and Cezanne, Later—who knew—Stein was a patron of couturier, Pierre Balmain. With rarely seen paintings, sculpture and photography, each exhibit celebrates Gertrude Stein’s extraordinary life and art collections, along with her Paris salon, family, and patronage of artists like Matisse and Picasso, who painted her portrait, and every leading photographer of the 20th century. The sole West Coast Venue. 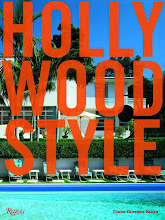 This new exhibit premieres on May 21 in San Francisco and travels to Paris and New York in 2011–2012. 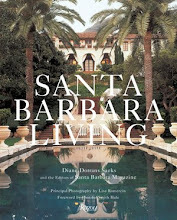 New research and archival material capture the lasting and indelible impact of the Stein family patronage. 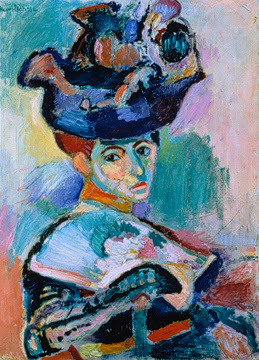 From the moment they first dared to admire Matisse's scandalous Woman with a Hat (1905)—the "nasty smear of paint"1 that gave the Fauves their name—the foursome were staking claims for modern art that would heavily influence their peers and transform the careers of several of the most important artists of the century. 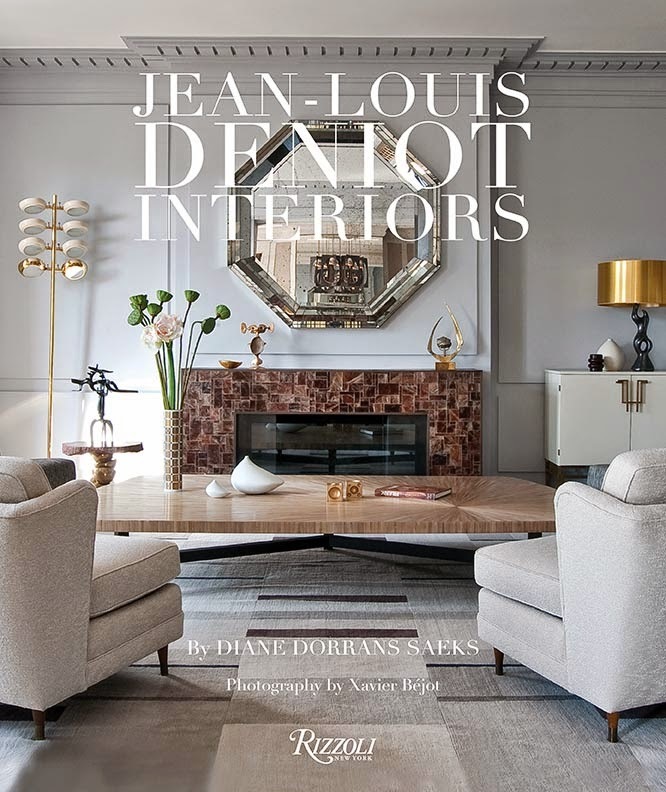 Powerful and opinionated (and generous) tastemakers, they arrived in Paris from California and had a commitment to the new, a confidence in their inclinations, and a drive to build appreciation for the work they loved. 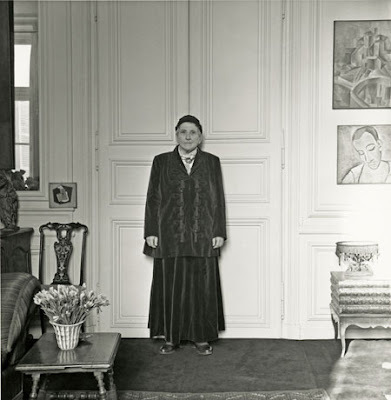 ‘The Steins Collect: Matisse, Picasso, and the Parisian Avant-Garde’ reunites the modern art collections of author Gertrude Stein, her brothers Leo and Michael Stein, and Michael's wife, Sarah Stein. Jointly organized by the San Francisco Museum of Modern Art (SFMOMA), the Metropolitan Museum of Art, New York, and the Réunion des Musées Nationaux-Grand Palais, Paris, this touring exhibition gathers approximately 200 iconic paintings. There are also sculptures, drawings, prints, and illustrated books by Matisse and Picasso, who are each represented by dozens of works, but also by Pierre Bonnard, Paul Cézanne, Juan Gris, Marie Laurencin, Henri Manguin, Francis Picabia, Pierre-Auguste Renoir, Henri de Toulouse-Lautrec, and Félix Vallotton, among others. "The Stein family legacy is proof that individual collectors make a huge impact on art history," said SFMOMA director Neal Benezra. "I can't imagine a more timely and inspiring reminder that when it comes to collecting the art of our time, it's the appetite for risk and intellectual engagement with living artists that brings about the most important and lasting outcomes." 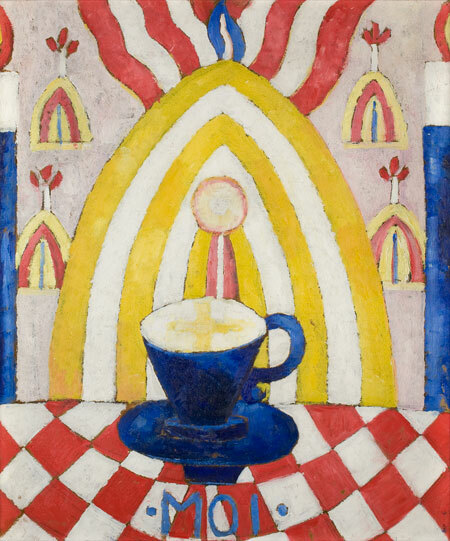 "It's really impossible to overestimate the role of this eccentric American family as patrons of visual art in early 20th-century Paris," says co-curator Janet Bishop of SFMOMA. "The Steins were true champions of modernism. 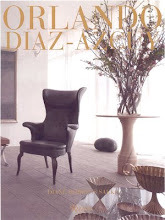 They embraced new art as it was first being made and before it was met with widespread acceptance. They avidly collected works when the artists most needed support, but also enthusiastically opened their modest Left Bank homes to anyone wishing to see the most radical art of the day." As American expatriates living in France, the four Steins were pivotal in shaping the city's vibrant cultural life. They traveled to Paris along with millions of tourists to visit the 1900 World's Fair and then relocated to the city in 1902 and 1903 Gertrude and Leo lived modestly off family investments and had to team up to afford their early purchases. "You can either buy clothes or buy pictures. It's that simple. 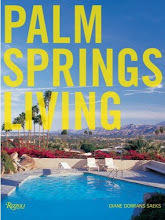 No one who is not very rich can do both," was Gertrude's legendary quote from Hemingway's A Moveable Feast. Along the way, the Steins covered their studio walls with cutting-edge paintings by the most controversial artists of the day and were soon overwhelmed with requests to see the collections. Anyone with a proper referral was welcome to strain their eyes to see the works by candlelight, as neither apartment was wired with electricity yet. On May 12, the Contemporary Jewish Museum debuted the first major museum exhibition to investigate the fascinating and surprising visual legacy and life of Gertrude Stein. ‘Seeing Gertrude Stein: Five Stories’ is an art-filled biographical exploration of Stein’s identities as a literary pioneer, transatlantic modernist, Jewish-American expatriate, American celebrity, art collector, and muse to artists of several generations. 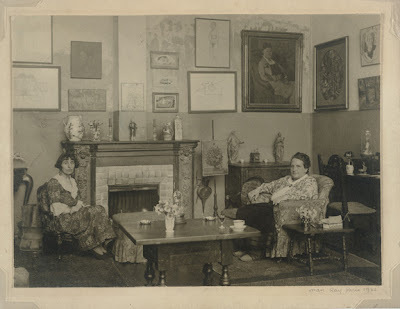 The exhibition also features Alice B. Toklas (1877-1967), Stein’s life-long partner, and explores the aesthetics of dress, home décor, entertainment, and food that the two women created together. 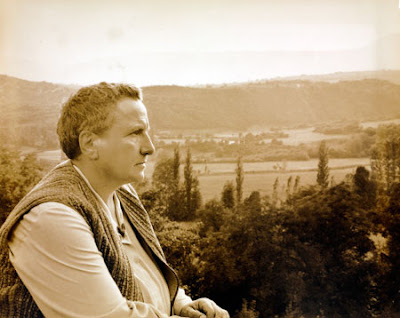 ‘Seeing Gertrude Stein: Five Stories’ is built upon new scholarship by lead guest curator Professor Wanda M. Corn of Stanford University and associate curator Professor Tirza True Latimer of the California College of Arts and is jointly organized with the Smithsonian’s National Portrait Gallery. 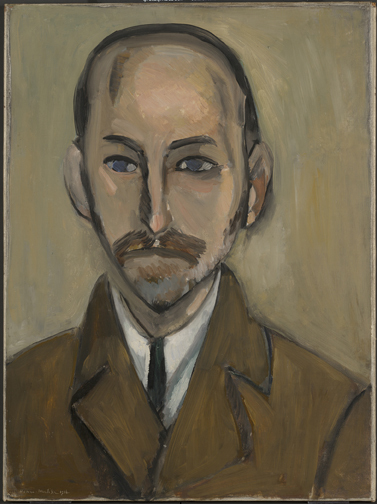 Born in Allegheny, Pennsylvania in 1874 and raised in Oakland, California in an upper middle-class Jewish family, Stein left America for France in 1903 at the age of 29. Like James McNeill Whistler and Henry James, her American predecessors, Stein became an expatriate, living in France until her death in 1946. 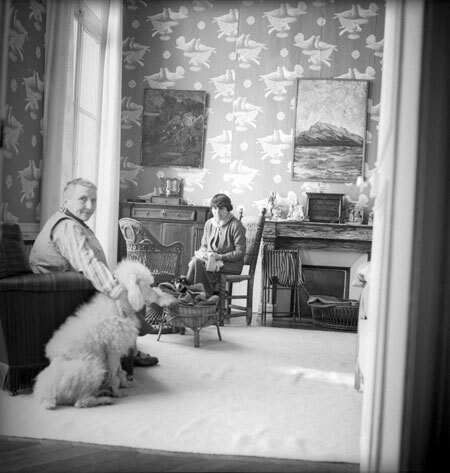 From 1908 onwards, Stein lived openly with Toklas. Stein was a cultural matchmaker, bringing creative people and friends together—such as Picasso, Matisse and Hemingway, but also a lively band of cosmopolitan gay and lesbian cultrate—at her legendary private salons. Stein was always an avant-garde inventor of modernist literature. Although she could be ‘the most famous author no-one has read’ she wrote novels, journal essays, literary and art theory, opera libretti, plays, along with ‘The Autobiography of Alice B. Toklas’ in which that Hashish Brownies recipe (Delicious? You tell me.) resides. ‘Seeing Gertrude Stein: Five Stories’ features more than 100 artifacts and art works by artists from Europe and the United States. 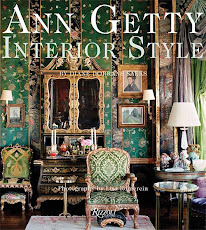 It includes paintings, sculpture, photography, drawings, and artist’s gifts to Stein, as well as items from her custom-designed wardrobe, manuscripts, books, periodicals, letters, journals, and personal belongings. Multi-media presentations offer a fascinating picture of this complex icon. One loop is a montage of photographs from throughout her life; another features footage from her operas and ballet; and one examines Stein’s life during the war. An interactive, custom-made iPad app allows visitors the opportunity to explore images, press, and other material from Stein’s lecture tour across America in 1934-35. On another iPad app, visitors can listen to Stein reading from her work while following along with the text. This wealth of archival and artistic material illuminates Stein through five distinct stories that offer multiple ways of looking at or “seeing” Stein. These five chapters focus on Stein from 1915-46 when she became recognized as a major writer, collected the works of the neo-romantics, and formed a new international circle of young friends. 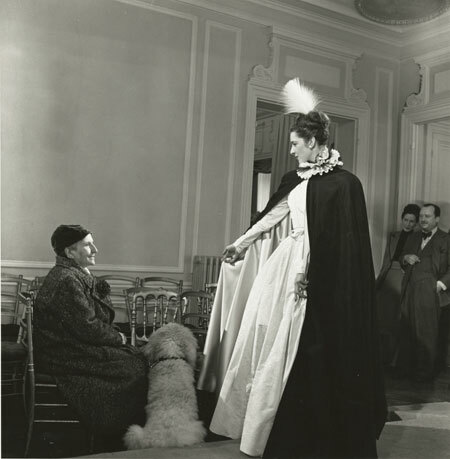 Stein’s archives include letters, journals, newspaper clippings, but also invoices from the couturier Pierre Balmain, handmade gifts from Picasso, snapshots, fashions, jewelry. The first story presents portraits of Stein from her childhood to maturity and includes works by Felix Vallotton, Man Ray, Cecil Beaton, Carl Van Vechten, Jacques Lipchitz, Jo Davidson and others. This ‘chapter’ delves into the relationship of Gertrude Stein and her lifelong partner Alice B. Toklas. 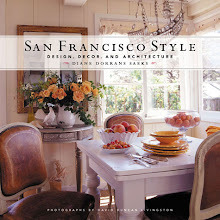 Together they shaped an eccentric visual aesthetic as a couple through their home décor, food, and dress. The wide circle of visual artists Stein and Toklas befriended included after World War I, an emerging international set of younger male artists, writers, and composers. While achieving her own fame, Stein had the talent and instincts to champion others such as Carl Van Vechten, Pavel Tchelitchew, Cecil Beaton, and Francis Rose. In 1934-35, Stein toured the United States for seven months of public lectures. 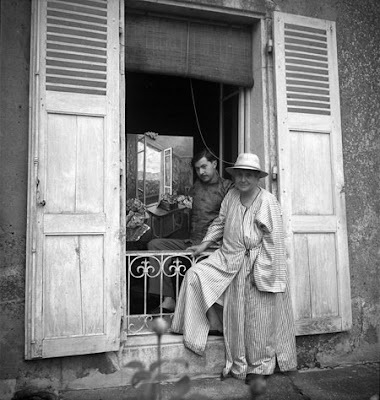 It was Stein’s first visit in 30 years and Toklas accompanied her. From the moment the women arrived in New York harbor, the American press followed them every step of the way. The Contemporary Jewish Museum exhibition will be later be presented at the National Portrait Gallery in Washington, D.C. after its premiere at the Contemporary Jewish Museum, and will be on view there from October 14, 2011 through January 22, 2012. 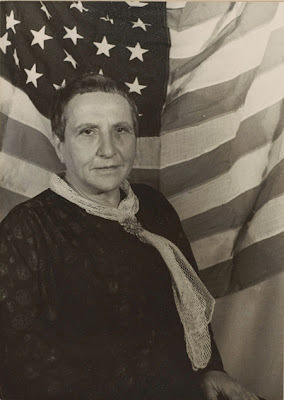 'Seeing Gertrude Stein: Five Stories' is on view at the Contemporary Jewish Museum during the same time period as the exhibition The Steins Collect: Matisse, Picasso, and the Parisian Avant-Garde at the San Francisco Museum of Modern Art (SFMOMA) from May 21 through September 6, 2011. Photography and art: All photography and paintings shown here are used with express permission from The Contemporary Jewish Museum and the San Francisco Museum of Modern Art. I am so looking forward to these exhibits! Lovely post! Having lived such an extraordinary life, it is surprising to note that Gertrude came from a very ordinary place; allegheny (now part of the city of Pittsburgh). I have a photo I took of the average rowhouse house she lived in (albeit in a wealthy neighborhood) there from 2008 up on my blog if you care to see it. So glad you pointed out the 2nd exhibit at the Contemporary Jewish Museum, of which The Geese were unaware... Five more days! We are so excited. Great intro to the festivities. Yes, it is with a sense of discovery that we approach these two new exhibits on the Steins and Gertrude (and Alice). Whenever we discover something about GS and ABT, it seems a surprise. She's enigmatic, a mystery. Allegheny--yes, Stefan, a surprise. Oakland! 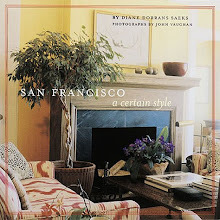 Who, knowing her exalted Paris life and art collections, can imagine Oakland as her home. I discovered some years ago that around 1900 Alice and her family lived in Pacific Heights (my neighborhood) on Alta Plaza park, Victorian house. The trajectory of the paintings is fascinating. 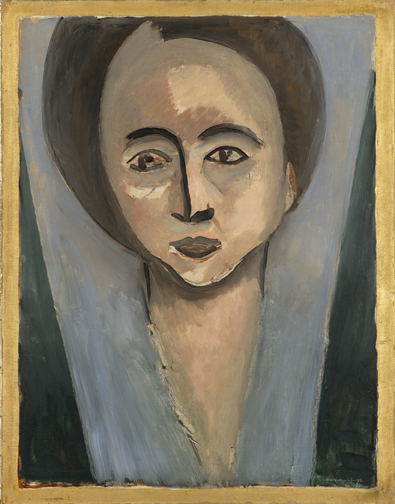 That portrait by Picasso was his gift (now priceless). The Matisses, now in museums...could be worth $24mill, market value of top Matisses now. Rich in ideas and detail. Next up at the de Young Museum:Picasso! Can't wait. Never in my wildest dreams did I think of her in the same breath as ANY clothing designer! It is time to take another look. Thank you for this most interesting post about a fascinating person. 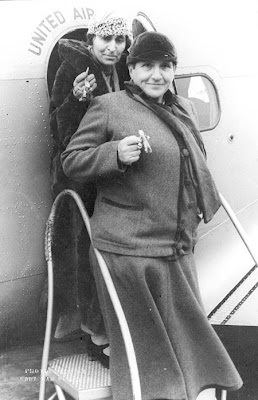 Loved that GS and AB Toklas were holding fetishes before their first flight took off! 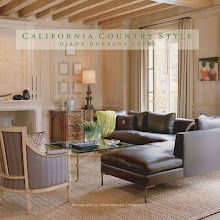 and yes I was surprised to learn GS is originally from the East Bay! And those brownies? yes, delicious! Thanks once again for the heads up on these exhibits, and the wonderful profile of fascinating people! A fascinating character in history. It would take more than a double recipe of Alice's brownies to make reading her The Making of Americans less painful. 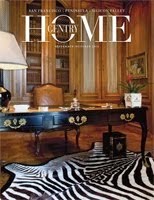 At 860 pages one of my professors called it "a quite excellent doorstop." Once again we see that some are called to be the grand supporter of the arts without the gift to create on their own. The exhibit sounds delightful. 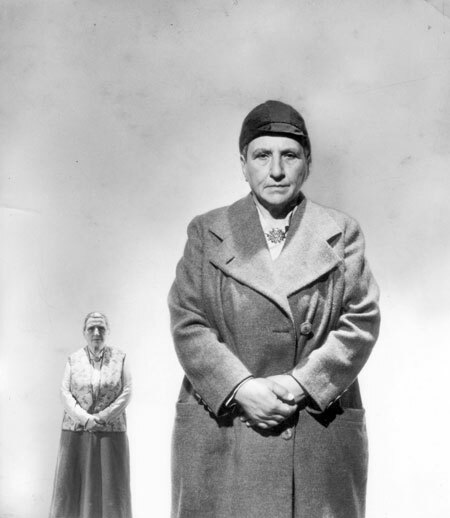 The Stein-Toklas story is indeed a fascinating one. Congratulations on your well-deserved Shout-Out from Charlotte Moss in The Washington Post! 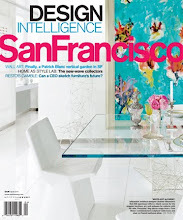 I am so grateful to Charlotte Moss for mentioning THE STYLE SALONISTE in her recent WASHINGTON POST profile. Such an honor. I've sent her a lavish 'thank you'. Welcome to all new friends who have hopped over here, and signed up, from the WaPo! Just wonderful. I hope many of you will have a chance to come to San Francisco (cook up a business reason, perhaps)...so that you can see the two Gertrude shows. And...on June 12, the new PICASSO show will be opening at the de Young Museum. You are in for a treat. Very exciting. This is an incredible exhibit. To see these works in person is a memorable experience. Loved your post which I read before visiting the exhibit. 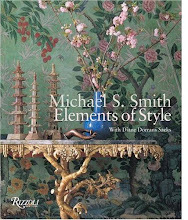 With both this superb collection now at MOMASF and the De Young show at the same time, this is an extraordinary period in the arts for San Francisco. Generally one does not recognize a "golden age" when you are living in it, but I would go to far ay that the city is experiencing a golden age right now for art lovers. Love your informative and fascinating posts. Thank you. now this wonderfull exhibition,"The Steins Collect;Matisse,Picasso,Cezanne and the Parisian Avant Garde" in NewYork at the Metropolitan Museum of Art ,is over . It was a little more than twelve months the Steins’s Year .Perhaps more than one million visitors in the five exhibitions . Who was as Picasso an antifascist and antinazi artist .Persecuted by Franco and the Nazis .And he is in this exhibition ,thanks to Rebecca Rabinow and Edward Burns. The main revelation is in the mention beside the picture with the Preface Gertrude Stein wrote for first Riba-Rovira's exhibition in the Galerie Roquepine in Paris on 1945 . 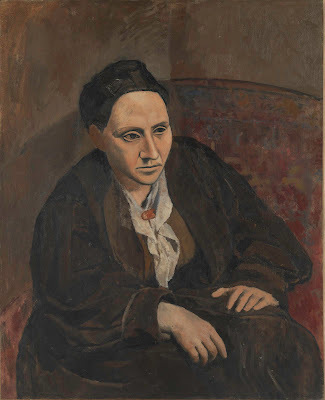 With this portrait we do not forget it is the last time Gertrude Stein sat for an artist who is Riba-Rovira .Picasso the first . Coming from San Francisco "Seeing five stories" in the Jewish museum to Washington in National Portrait Gallery .And after Paris, in the Metropolitan Museum of Art of New York for our pleasure . Seeing the Portrait of Gertrude Stein by Riba-Rovira in the Metropolitain Museum of New York with Picasso ,Cézanne ,Matisse we feel a recreation of spirit .